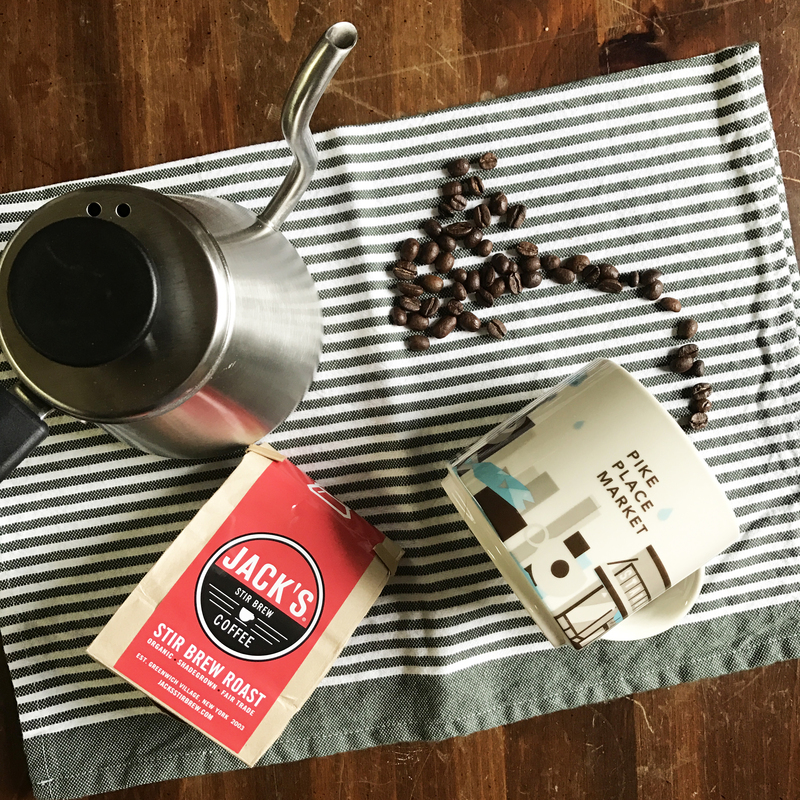 My morning has changed a lot since the last time, I blogged about it HERE & HERE. I’m trying to be more intentional with how I spend my hours earlier in the day. No, I don’t get up at 5 am for a brisk run that aligns my heart and mind for the day but kudos to those that do. Each morning begins roughly around 6:45 for me, the lamp in our bedroom is programmed to come on at 6:40 at a dim setting to help me get up for the day. Once up I make smoothies for Travis and me and Asher enjoys his breakfast. Here is my smoothie recipe, change out the fruit and nut butter for a different taste, we like to use mixed berries with almond butter and a tropical banana, strawberry & mango mix with almond milk & peanut butter! Once we’re done having breakfast, I take Asher out for a morning walk/potty break and Travis takes his shower & gets ready for work. After our walk I make Travis’ lunch and begin on the coffee aka the elixir of life. And once coffee is ready I can sit down and enjoy some quiet time for myself. 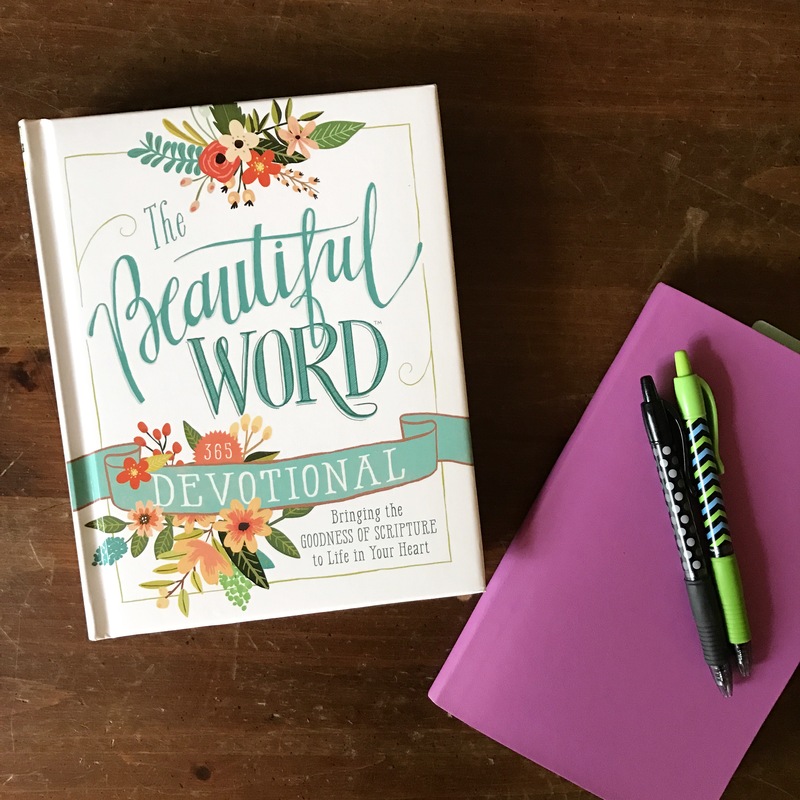 I’ve been enjoying The Beautiful Word Devotional as an easy to pick up devotional for each day. It can seem a bit hefty but over all I’m enjoying the daily scripture reading and thoughtful message for each day. 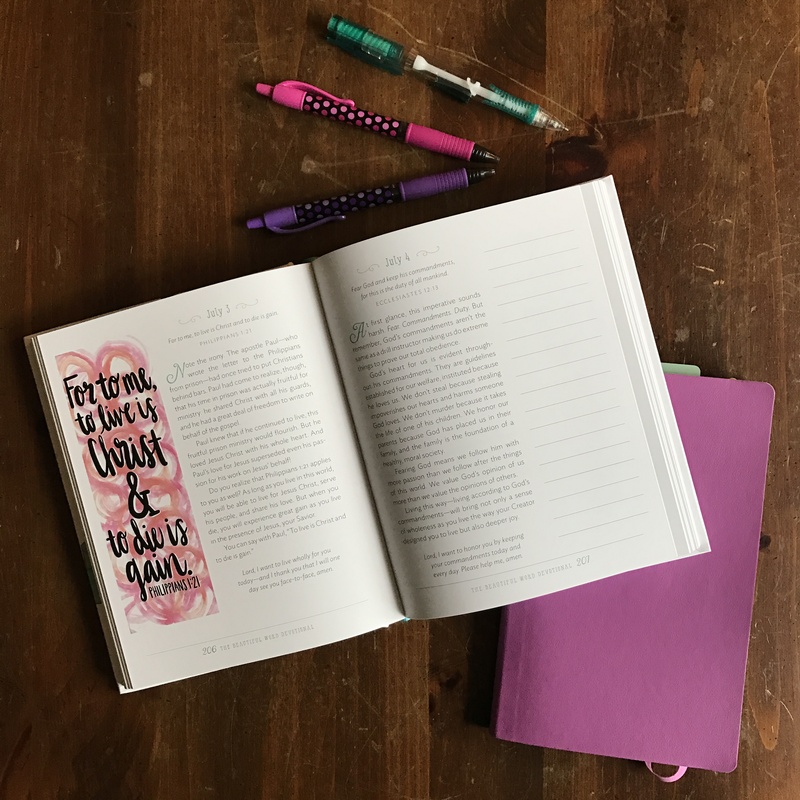 Last year, I read through my Savor devotional for a 2nd time. I love that devotional and it always speaks to my heart. I have high hopes that this one will be one I reach for again and again in the future. I received this book free for review in return for my honest opinion. This post contains affiliate links. By purchasing through the links on my blog I receive a small compensation at no additional cost to you.